Southern Indiana is full of history & culture. Explore Devonian era fossil beds at Falls of the Ohio, tour one of the many architectural wonders in the region, visit downtown shops including handmade art glass, or learn about the state’s early history at the former capitals of Vincennes & Corydon. A 22-room, late-Victorian mansion features stained and leaded glass windows, intricate hand-carved and original furnishings. Artifacts and models of famous boats built in the Howard Shipyards are exhibited. For a taste of nostalgia and to satisfy your sweet tooth, stop by and this 125 year old candy shop in Jeffersonville. Famous for cinnamon red hots. Schimpff’s is a fourth generation, family owned business that features a soda fountain, the original tin ceiling, antique memorabilia, and tasty candies. 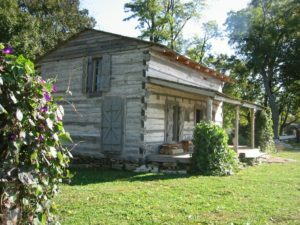 A replica of a cabin built by General George Rogers Clark in 1803. Departure site of the Lewis and Clark Expedition to explore the Louisiana Purchase territory. 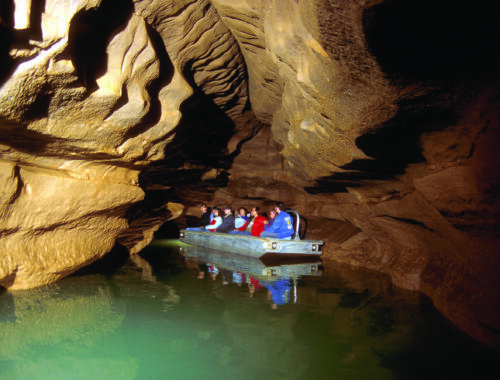 Travel back to when Southern Indiana was covered by a salt water sea as you discover the world-renowned fossil beds that date back 400 million years. There are 220 acres of exposed Devonian fossil beds to explore. 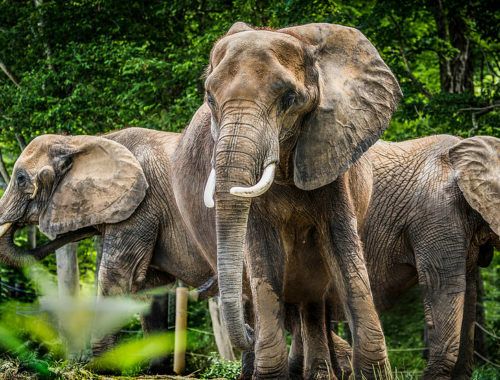 The Interpretive Center features a full-size mammoth skeleton, plus there are exhibits on geology, history, and cultural development of the Falls of the Ohio. Two spectacular audiovisual shows are also offered. 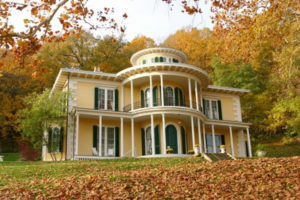 Hillforest is a restored 1855 mansion overlooking the Ohio River. 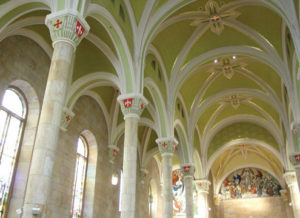 It is listed on the National Register of Historic Places and is a designated National Historic Landmark. Situated 427 feet above the Ohio River, this early-19th century country estate is located high on a bluff overlooking the Ohio River outside of the small town of Aurora. Listed on the National Register of Historic Places, this magnificent 1880 Romanesque, old world style church was built by the early parishioners and showcases priceless German stained glass windows. See evidence from an era long ago. 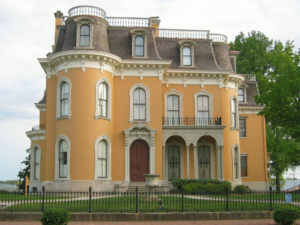 The Scribner House was built in 1814 by the Scribner Family. The first frame house built in New Albany is owned by the Daughters of the American Revolution (DAR). 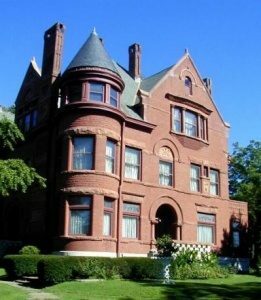 A Victorian mansion that stands as an impressive tribute to one of Indiana’s leading merchants and philanthropists, William Culbertson. Main and Market Streets, New Albany Collection of homes, churches, and distinctive commercial buildings that have been carefully restored, providing a glimpse of life during New Albany’s “Age of Elegance.” This area includes many bed and breakfasts, wedding chapels, reception halls, and the Culbertson Mansion. Greek Revival church has been a New Albany landmark since 1852 when it was completed by the congregation of the Second Presbyterian Church; the church is said to have been a way-station on the Underground Railroad before the Civil War, aiding runaways with food, clothing, and other kinds of assistance. With the tools they learned to use as children, Zimmerman Art Glass carries on a family tradition that has continued through four generations. 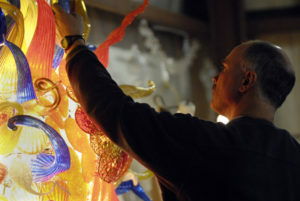 Makers of handmade glassware, Zimmerman’s make 110 different pieces such as paperweights, fruit and holiday ornaments. Visitors can watch a first hand demonstration of off-hand glassmaking. The New Albany National Cemetery was established in 1862 to accommodate the burial of soldiers posted at the training center. By November 1870, more than 2,000 known dead and 698 unknowns were buried here. Placed on the National Register of Historic Places in 1999. 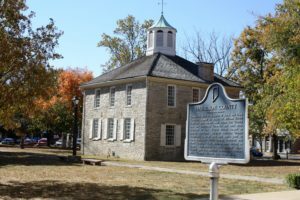 The Corydon State Historic Site commemorates the history of Indiana’s first state capitol. As you travel U.S. Hwy. 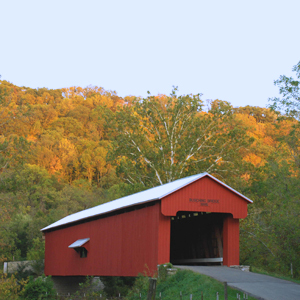 50 in Jackson County, you will be passing near the sites of two covered Bridges; Shieldstown (1876), which uses a multiple King Post design with a Burr Arch Truss system; and Medora (1875), the longest historic covered bridge in the U.S. The Medora Covered Bridge has recently been restored and is open to pedestrian and bicycle traffic. At the turn of the century, North Vernon’s railroad system represented the sixth largest railway center with more than 100 trains arriving and departing daily. Visit the Historic Park Theater, a restored 1916 movie house, now home to movies, live entertainment, and festivals. Enjoy amenities such as camping, fishing, hiking and mountain-biking trails, basketball and sand volleyball courts, soccer, baseball, and open fields, playground and picnic areas, shelters, wildlife marshes, and bouldering and climbing. The Walnut Grove School is restored to the 1913-1925 time frame and is open for tours. 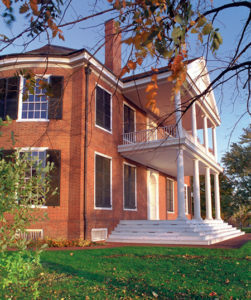 Home of William Henry Harrison, first governor of the Indiana Territory and ninth president of the United States. Tour the beautifully restored 1803 mansion. Historic Cathedral and French and Indian cemetery. See Indiana’s oldest library, founded in 1794, featuring 15th – 19th century books. Where Indiana began! 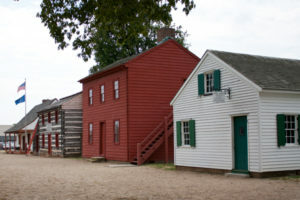 Tours of the first college, first capitol, first print shop, and more replicate frontier life from 1800-1813. Home of fur trader Michell Brouillet, built in 1806. Great example of French Creole architecture. 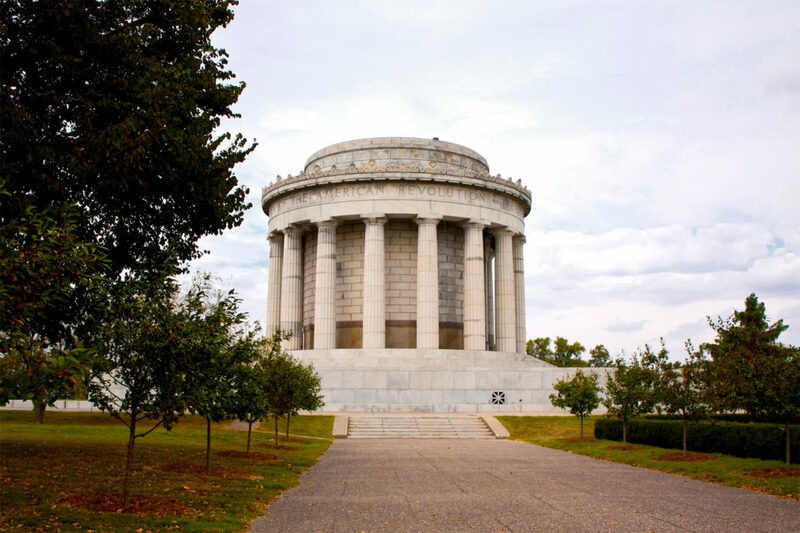 George Rogers Clark’s conquest of the Old Northwest Territory is the theme of this national historical park. 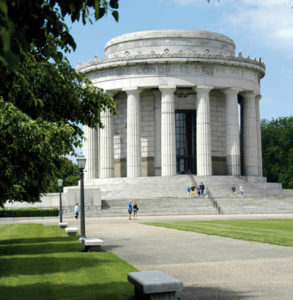 See the largest memorial outside Washington, D.C.! Military memorabilia from the Civil War to Desert Storm, featuring vintage tanks, aircraft, and more! Carved out of a huge limestone boulder, the tomb marks the grave of Dr. Winthrop Foote, who owned much of this stone-laden valley and is considered the father of Bedford limestone development. The stone for Chicago’s City Hall and Court House, the Indiana State house, and Vanderbilt’s mansions in New York City came from Foote’s original Blue Hole Quarry near this spot in Bedford. 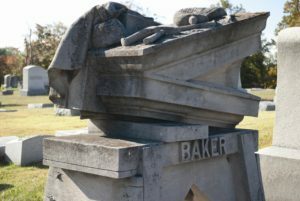 Greenhill Cemetery is a wonderful example of early limestone carving. Walking tours of the cemetery are available. The museum is housed in the 100 year old Hamer-Smith building at 929 15th Street in Bedford, Indiana. The Lawrence County Museum of History is home to many interesting artifacts that showcase the history and heritage of Lawrence County. You will find the gallery cases arranged thematically with collections focusing on military history, antique clothing, school history, and many other topics. Located in the 1876 courthouse which is listed on the National Register of Historic Places, the Martin County Museum is a beautiful example of turn of the century architecture and is filled with a treasure of Martin County history. Open Monday, Wednesday, and Friday 10–4. Closed during the winter months. 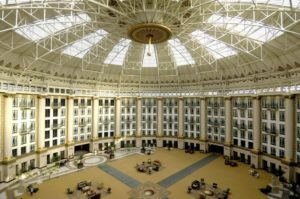 Includes the West Baden Springs Hotel and French Lick Springs Hotel, both fully restored to their early 1900s original grandeur. The two hotels offer luxury rooms, fine dining, European spas, beautiful gardens, golf, and other amenities. Come and relive the exciting moments of the Milan ’54 Basketball State Championship Game and find out why the story inspired the movie “Hoosiers” at the ’54 Basketball Museum, five miles north of U.S. Hwy. 50. Drive back into time and enjoy the view of Laughery Creek as you go over the 1885 Busching Covered Bridge, just off U.S. Hwy. 50 near the Versailles State Park entrance. Less than two miles north of U.S. Hwy. 50 on Co. RD. 850W near Holton, you’ll find the Otter Creek Covered Bridge, a great setting for relaxation and a picnic.  Visit a restored 150-year-old mill on a 200-year-old farm and learn about the rich rural history of southern Indiana. Situated two blocks north of U.S. Hwy. 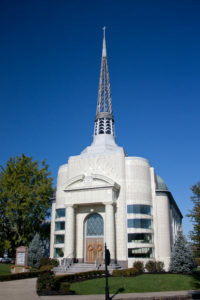 50, the Tyson Temple United Methodist Church, dedicated in 1937, is truly a unique church built of materials from around the world, with no nails except those in the pews.